Please consult this sizeguide to determine your size. The waist determines your size. New collection! 50s Anchor Play Shorts Indigo High Waist denim van Steady Clothing. Ahoy Sailor! 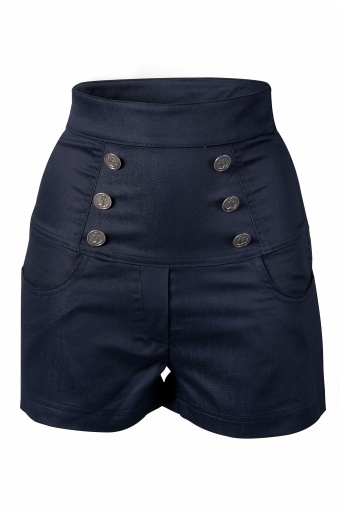 Snag your own sailor when you wear these cute high waist shorts! 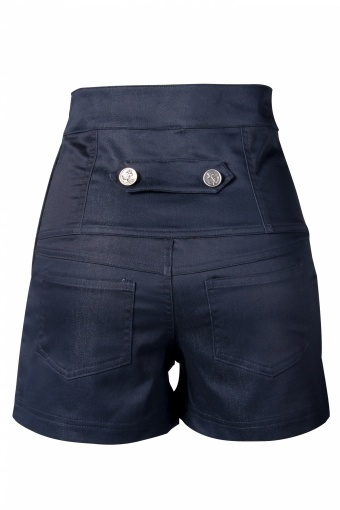 Most shorts are too casual according to our taste, but these shorts are more then that! 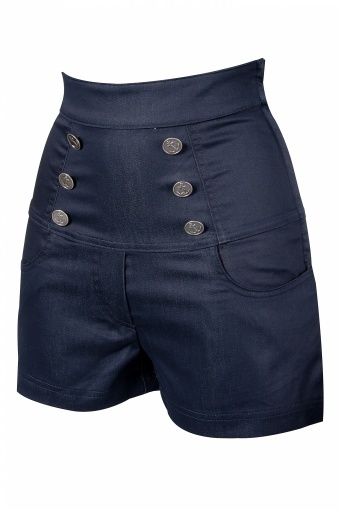 Side zipper and with decorative dark silver anchor buttons, pockets & zips up the side. Made of a comfy supple thinner (summer proof, not the stiff standard denim fabric) denim with stretch. The model wears the Sneak Preview Top in Ivory.